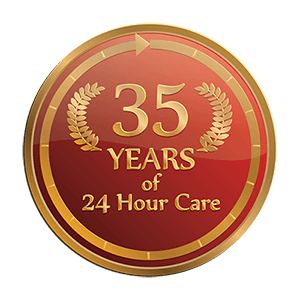 Jefferson Animal Hospital & Regional Emergency Center is the only veterinary hospital in Kentucky that is always open and fully staffed for routine pet care any time of the day or night – seven days a week, 365 days a year. 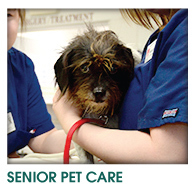 We are always available to help you keep your adult pet healthy. 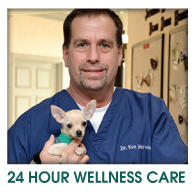 If you follow the recommendations of our doctors and staff, your pet will live many years longer. 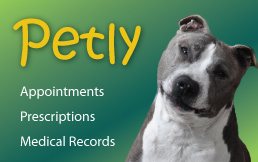 We recommend semi-annual blood tests and urinalysis for ALL ages of pets. 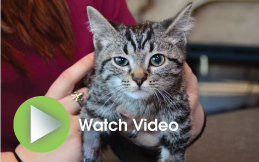 Preventative medicine means finding disease BEFORE it becomes a serious problem for your pet. Considering that one human year is equal to approximately 7 years for a pet, semiannual blood wellness profiles are always recommended. Blood panels show us important blood chemistry information which can indicate the presence of diseases or the possibility of disease, allowing us to treat conditions before they become more serious for your pet. 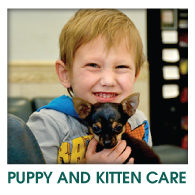 Keeping your pet current on his or her vaccinations is important for the long term health of your pet and your family. 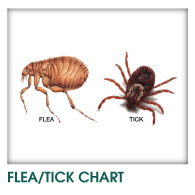 If your pet is due for "shots", they will be administered during these twice-yearly examinations. We use only the highest quality vaccines that are intended to be "non-reactive" and not cause anaphylaxis (allergic reaction). However, we still prefer not to give more than one vaccine at a visit if possible. Our current protocol after the puppy/kitten series is to give annual DHPP for dogs, FVRCP for cats, and alternate the Rabies and Bordetella or other elective vaccines. We follow a three-year vaccination protocol starting at 4 years of age, since we do not believe in over-vaccinating your pet. We will complete a lifestyle disease risk assessment form prior to administering any vaccinations to ensure that we are creating a specific vaccine plan customized to the needs of you and your pet. 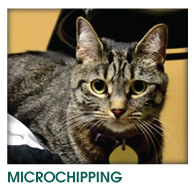 During your dog or cat’s semi-annual exam, our veterinarians will examine your pet’s teeth. Dental care is one of the most effective ways to prolong your pet’s life and prevent the chronic discomfort that accompanies dental disease. For humans, caring for our teeth and gums is part of our daily routine. Without care serious problems with our teeth and gums would develop. Your pet needs dental care to prevent problems too. Those pets that receive routine dental care have fewer heart, lung, kidney, and liver problems as they mature, as well as nicer breath! 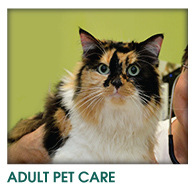 If your pet needs dental care, we will discuss the various options with you during your pet’s exam. 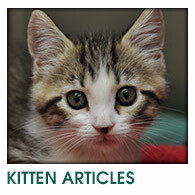 Please visit our pet dental care pages for more information.